Kampi ehf. 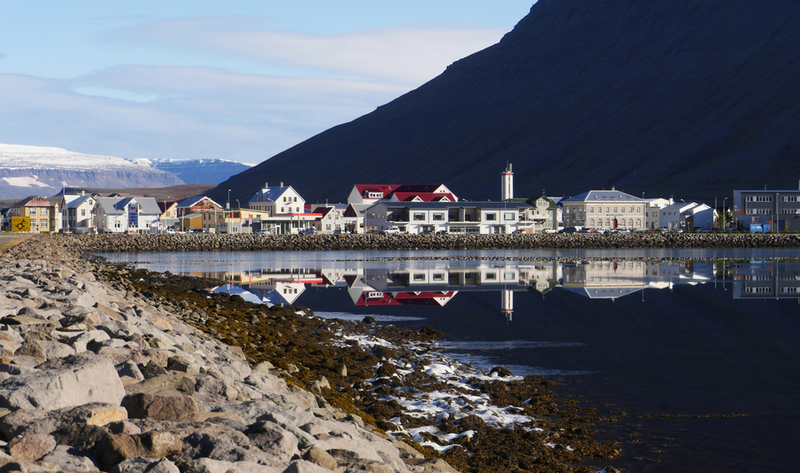 shrimp factory located in Ísafjörður, Iceland recently signed a contract with Skaginn 3X for a Tub Handling System. The benefits of this system are plenty. It increases factory automation and capacity as well as reducing the use of forklifts. It also provides better handling of raw material and tubs. The number of shrimp factories in Iceland have decreased over the past few years and there are just four in operation at present. This is quite a shift from the past, as shrimp processing played a big part in the Icelandic seafood industry. Kampi’s recent investment is therefore a very positive move for the industry and increases safety and automation. “Kampi ehf’s operation has been very successful in recent months and we have seen a steady increase in production. It was therefore a great opportunity to invest in equipment at our facility. We are increasing our capacity and automation and purchasing a high-quality system from Skaginn 3x is an integral part of this process, "says Albert Haraldsson, Operations Manager Kampi ehf. in Ísafjörður. “Companies in Iceland's seafood industry are always looking for ways to achieve more efficiency, increase automation and improve handling of products, and that is where we at Skaginn 3X are leading the way," says Freysteinn Nonni Mánason, Regional Sales Manager at Skaginn 3X. The equipment is expected to be fully operational in February 2019.